I remember feeling a dramatic sense of relief. This was the kind of feeling you get when your sinuses are clogged up for weeks and you finally get a chance to breath through your nose. It was amazing. All of the nervous energy and anxiety from exam week was gone — I was graduating Davis College in just 24 hours. My family was all in town and we were having one of the most difficult conversations families can have — where do we go for dinner. Someone overheard us struggling through the decision and suggested something that was unknown to my entire family — a Spiedie. I was immediately embarrassed. 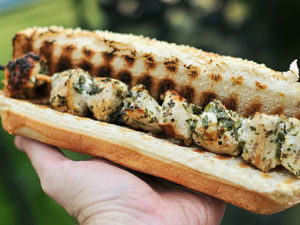 This town is legendary for this vinegar-based, char-grilled chicken sandwich and I have never had one. I let my entire college career slip between my fingers without ever doing something that was so quintessential to the Davis experience. College is not just about developing as a student and professional, but it’s also about making memories. We put together a short bucket list of things we feel you need to do your first year at Davis. We are not saying this is an exclusive list, just get out there and make some memories. If you don’t know what it is, go and check it out. 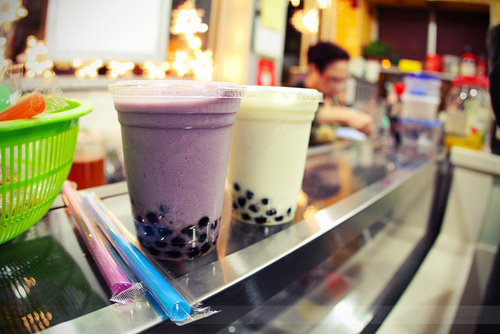 There are plenty of places in town that proudly serve this weird milky tea drink with chewy tapioca balls. This is insanely important — community will cultivate your college experience. Staying up to finish your Pentateuch homework doesn’t count. During my freshman year, my friends and I just discovered season one of Walking Dead on netflix. We stayed up and watched it all in one night. It solidified our friendship. Friends who stay up together stay together. Not a musician? That’s fine! Read a monologue, tell some jokes, do a magic trick, or just do the dougie. The student coffee house nights are an amazing opportunity to have fun and make new friends. Okay, when I was at Davis it was the 11:30 breakfast that we called midnight breakfast. Anyway, it’s a blast. Eat away your exam-week stress. It’s amazing how many people don’t know this, but Binghamton is known nationwide for carrousels. They’re all over town and they’re all free. Here is a map. Not one in the cafeteria — actually go to one of the restaurants in town specializing in this dish. The Red Cross explains that, “one donation can help save three lives.” We bring blood drives right to campus. Do something good with your weekend by giving blood then enjoying your free cookie. Get out there and cheer on your home team! Dress in your Davis gear and support our team — volleyball, basketball, cross country, soccer, or all of them! Davis is an unicorn-like organization where you can easily spend one-on-one time with your professors. Just take some initiative and ask or join them downstairs at breakfast. If you are a new student, you will quickly learn that our Old Testament classes are pretty intense. You will be asked to summarize nearly every chapter in the OT. If you chose to wait until the night before to summarize the entire book of Isaiah, you will fail the assignment. No question. My advice? Take a couple weekends and work ahead early in the semester. You will thank me in November. Enjoy the sun while it’s hear. Play football on the knoll. Spend some time in a park. Do homework in the gazebo. Get outside and enjoy the beautiful weather while we have it. We will probably get snow accumulation before Christmas break. Make the most of it and make yourself an awesome snowman! It’s so tempting…sitting out there by the student center. Seriously, don’t ring the bell. It’s against the rules.